PLAYA DEL CARMEN, Q. Roo – “Urban art on our streets reflects a cohesive society with a common purpose: to express the feelings of our community, demonstrating that we are active citizens…bringing to life our streets”, said Verónica Dupré, who is in charge of this artistic project called “Calles Corazón, proyecto calle 4”. “This is the first time that Calles Corazón is carried out in Playa del Carmen, the purpose of this project is to revitalize the streets with the support of the private sector, the government and citizens, in order to have safer and cleaner spaces. We’re making a project that will be a referent in different parts of the country,” said the project’s diffuser Fernanda Casarín. Casarín explained: “Urban art paintings allow a new way to view our environment between space and social life. Through art we can tell a story and generate hundreds of emotions for those who have just arrived at the destination, the one who is only passing through, or who lives here”. 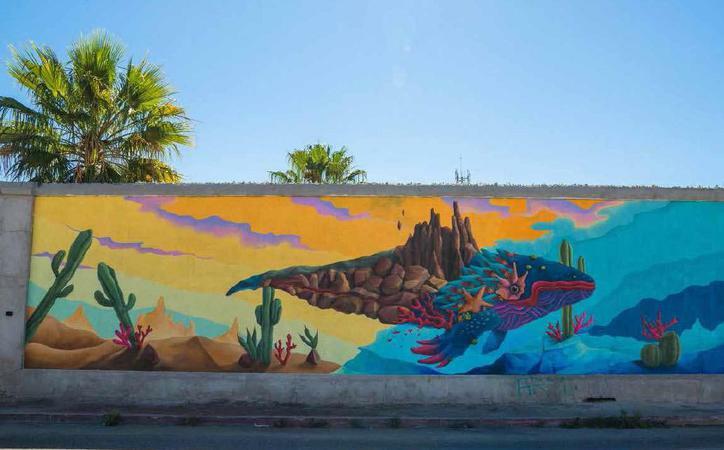 From July 20 to 30, 2017, this project will take place on the streets 4 and 2, which are considered Playa del Carmen’s heart that will be intervened by dozens of muralists. “Regardless of whether they are streets that seem to be forgotten, we are going to recover them and generate with them a sense of belonging”, said Casarín. Mexican artists such as Gonzalo Areuz, La News, Paola Delfín, Oliver Tormenta from Mexico City, Dherzu from Cancun, Bolla Hiriat from Michoacán, Saúl Torbe from Querétaro, among others, will be responsible for giving life, color and beat to Playa del Carmen’s streets in the coming days.